Psychopedagogy of play brings forward a topic of constant interest: the game. The volume Psychopedagogy of play, approaches the importance of playing in a child’s life but also throughout the entire human existence, as mentioned by the author herself: Playing is a fundamental human activity that pervades the entire life and all cultures. Playing is the main and fundamental childhood activity. It is the engine that activates and determines the development of one’s personality, gives meaning to one’s life, develops cognitive abilities, social relations and favours harmonious physical development. The game is the main way of child’ intellectual development and training during early childhood and preschool age. The author of the book highlights how prestigious pedagogues and psychologists have approached playing. They were interested in the role games have in the child’s harmonious development, stating the fundamental role of games in shaping the child’s personality in preschool age. The book is divided into chapters and subchapters which comprise fundamental concepts on the development of child’s personality through playing, explanatory theories on the nature and function of games, the taxonomy of games, integrating play activities in the curricular content of preschool education, games as method, means and form of unfolding didactic activities in kindergarten, games and toys, etc. More specifically, we can say that this book has the structure of a course book addressed both to students, future teachers, and to preschool teachers facing a tenure exam, first and second degree exam. This book highlights the importance of game, the history of games, and the role they play in human development. The book is has an innovated character which complies with current tendencies of modern psychopedagogy by approaching to inter- and multidisciplinary. Besides handling game as permanently human reality, the book shows its importance in a child’s life as universal and specific activity in all stages of its evolution. This volume captures the causality relationship between game and development, relationship that stresses out the importance of games in the development of personality from birth to school age. Emphasis is laid especially on the role of games as fundamental activity in kindergartens, on its importance in the development of all facets of a child’s personality, in socializing and school preparation. The pedagogic argumentation is convincing and offers practical and methodological suggestions according to tendencies of modern didactics. 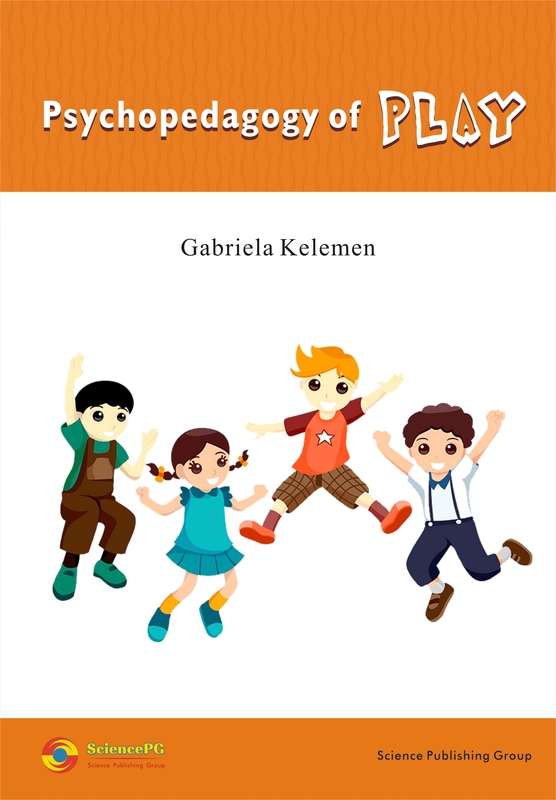 From the book ”Psychopedagogy of play”, we find out which is the specific of childhood age, behavioural tendencies, predominant activities at this level of ontogenetic development and which are the less desirable attitudes of adults towards children. The book addresses to students, educators (preschool teachers, primary school teachers, teachers, parents, etc. ), to all those interested in the education of children.